Run a quick internet search and you’re bound to find dozens, if not hundreds of roofing companies in Michigan alone. Researching each and every one can take a lot of your time and doesn’t guarantee that you will find the right one for the job. 1. Verify license, bonding, and insurance – Michigan requires contractors to have a valid license issued by the Department of Licensing and Regulatory Affairs before they can work on any project. Note that a contractor license is different from a business license, and it should be verifiable with a quick phone call. Bonding is your assurance that you will be financially protected in case the project isn’t completed. Insurance is your protection against liability for accidental property damage or accidental injuries. For your convenience, our license, bonding, and insurance information are readily available on our website. 2. Always ask for a written quote – Sometimes referred to as an estimate or contract, a written quotation indicates the scope of work and the total project cost. 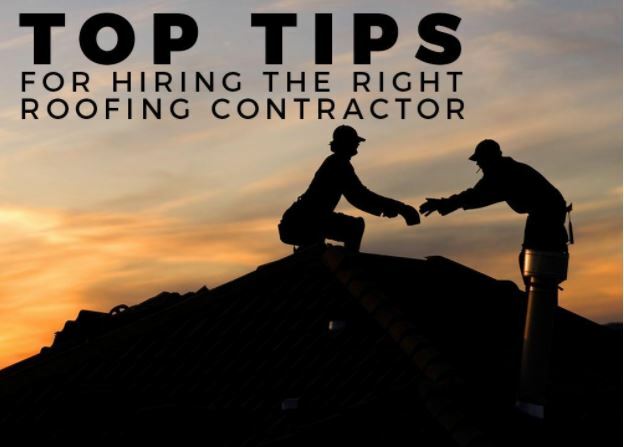 Don’t hire a contractor who would only provide verbal quotes—reputable roofing contractors will always provide their price quote in writing. Also, avoid contractors who apply pressure to get you to sign. As with any contract, you should have ample time to review, revise, and ask questions before you sign. 3. Don’t make your decision based solely on the price – While price is a factor in making your choice, it’s not the only factor. Unscrupulous contractors will bid a ridiculously low price to secure your signature only to cut corners and compromise quality later on. 4. Ask for referrals – One of the best ways to vet the quality of a contractor is through their past clients. Trustworthy contractors should be able to provide at least three referrals, all of which you should make a point to call. If you know at least one of the referrals personally, take it as an opportunity to inspect the contractor’s handiwork firsthand. 5. Only pay in full upon completion – Avoid contractors who ask for full payment upfront before the project starts. It is standard practice for contractors to ask at least 25% of the full quoted cost as down payment (this is usually indicated in the contract), with full cost upon completion. Our past clients at Kroll Construction consider us as one of the truly dependable and honest roofing contractors anywhere. Experience our service for yourself. Call us today at (888) 338-6340 or fill out our contact form to schedule a convenient time for a free estimate. We serve homeowners in Michigan and nearby areas.